Why are snakes important to us? How do they see, smell, taste, and hear? What and how do they eat? What does a snake feel like? 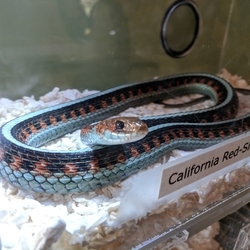 Come to the Rancho del Oso Ranger Station to learn about the fascinating world of snakes. Several snakes will be on display and native reptile adaptations will be discussed in the beautiful backdrop of Waddell Valley! Park at Waddell Beach and walk 0.4 miles past the yellow gate along the Skyline to the Sea Trail to the ranger station. For more information, call (831) 427-2288. Event free. Rain cancels.